Public bathing and Kungfu masters. Whats next? This is a sponsored post by Mediacorp OOH Media. Experiential marketing is being widely used by brands these as they desire to forge a closer bond with the customers and stir their emotions. 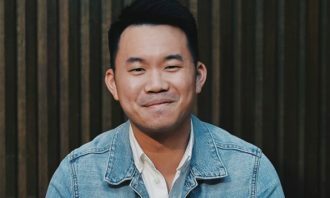 To successfully achieve this, Mediacorp OOH Media posits that brands must go one further and develop “extivations” – traditional activation marketing that comprises a full sensory experience. The ability to incite consumers’ sight, touch, taste, smell and hearing all at once will greatly improve brand recall and distinguish themselves amidst much competition. Diverse conceptualisations of such events can boost media coverage and help brands achieve their targets. In March 2017, Unilever Singapore worked with Mediacorp OOH Media to deliver a one-of-a-kind “extivation” at Orchard Gateway. It was held to celebrate and promote the launch of the new Dove Oxygen Moisture Bodywash that perpetuates deep moisturising. The “extivation” included a shower area and two portable sinks which allows passers-by to try the new product. Those brave enough can try out showering in the specially built portable shower. Dove scented bubbles were periodically released to add to the overall ‘bathroom’ atmosphere. Our digital screen augments the whole immersive sensory experience with visuals and sounds. 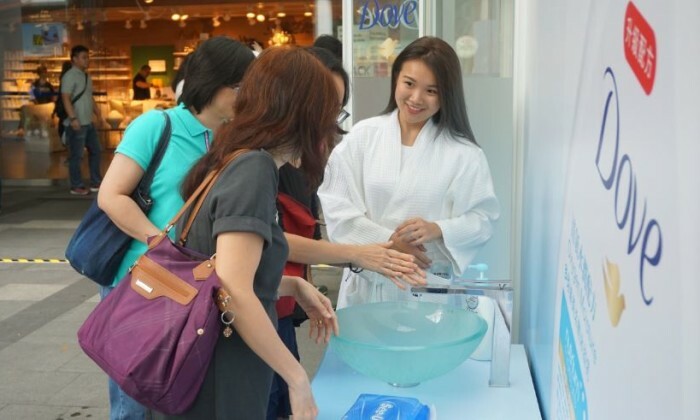 Vicki Ting, brand manager, Unilever Singapore said, “The ‘extivation’ allows us to engage our target audience on the move on a deeper level, igniting their senses via a multitude of platforms and activities – enhancing product recall and creating paths to purchase.”. 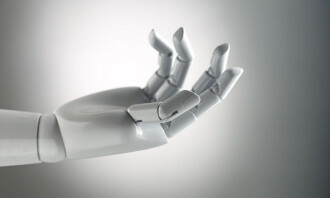 “Extivations” can also occur in the form of creative executions coupled with direct interactions with the consumers. 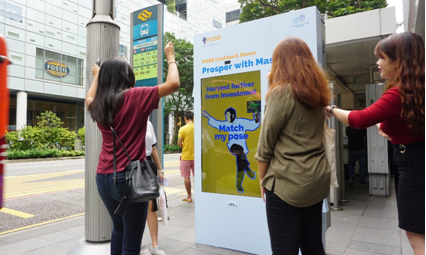 POSB Bank Singapore worked with Mediacorp OOH Media to launch two creative executions at twp bus stops – one at Midpoint Orchard and the other at One Raffles Quay. Standard static bus stop panels were transformed into interactive video panels with in-built motion sensors. It was to build awareness for POSB’s cashback bonus programme. 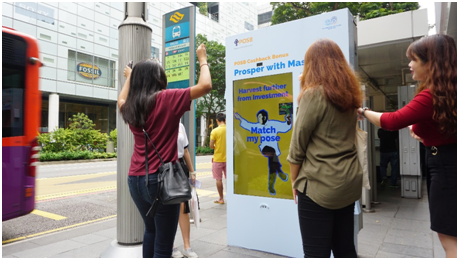 The panels feature a Kungfu Master – Master Lui, who floats in midair, beckons and invites passers-by to a virtual interaction with him. 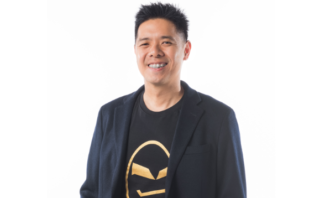 Mimicking Master Lui’s Kungfu poses and inciting physical interactions will enhance passers-by’ brand recall. The boundaries are limitless and results far-reaching where “Extivations” are concerned. To commemorate Juicy Couture’s 10th year anniversary in 2015, Elizabeth Arden transformed 2 of Mediacorp OOH Media’s bus stop panels at The Heeren and Fullerton Hotel into a life-size Juicy Couture Bottle. The “Extivation” managed to garner an overwhelming response from passers-by. It also positively influenced sales for Juicy Couture perfumes. In another example, OOH Media’s 24-footer truck transformed into a roving Lipton tea ‘café’ and went around different CBD areas and business parks for a month to reach out to PMEBs. Lipton managed to reach out to their target audience and saw an increase in market share after this campaign, gaining value over key competitors. Mediacorp OOH Media can co-create and plan with brands, the perfect out-of-the-box setting for an “extivation”. It will help to reinforce the brand’s positioning and cut through the traditional advertising clutter – leaving a positive impression on the public. The canvas for “Extivations” is not limited to Kungfu Masters and Public Bathing. It is up to your imagination. 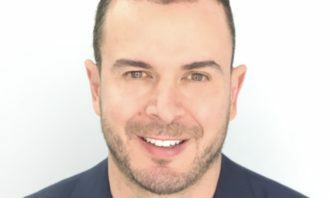 Chinese smartphone brand OPPO has announced a partnership with fashion brand Victoria's Secret for its annual fashion show in Shan.. The company's search for a new partner will also commence. ..